Spotify’s Facebook app has been topping AppData’s leaderboards for some time now. It’s the top gainer this week in monthly active users (MAUs), accumulating almost 1.4 million new MAUs. 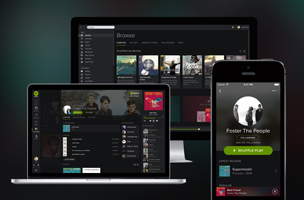 Spotify has over 32 million MAUs, and its DAU/MAU engagement has increased five percent in the past week. Back in 2011, the music streaming service angered many users (and potential users) when it made Facebook Connect its only means of signing up for the platform. The company had to defend itself from the onslaught of complaints, and eventually backtracked on the policy about a year later. While the company had hoped its integration with Facebook would help boost its user base, the app’s recent growth shows that you don’t need to make Facebook the only option in order to be successful on the platform. Do you use Spotify on Facebook? For more information about AppData, click here or call 415-230-2558.